That one conversation was enough for Dr. Casper. He knew he had to be a chiropractor and share with others that there was more to health than the treatment of disease. Dr. Casper completed his undergraduate education, then attended Palmer College of Chiropractic in Davenport, Iowa. There, he had a fantastic experience and participated in many extracurricular courses that enhanced his knowledge in radiology, sports extremities and spinal biomechanics. He earned his Doctor of Chiropractic, then went on to an internship and associateship in Orange, California for a year and a half. After this experience, he returned to his hometown of Utica, where he was born and raised, and established Casper Chiropractic in 1987. Dr. Casper is passionate about sharing chiropractic care with our community, seeing lives change improve regularly. An active member of our community, Dr. Casper has been involved with Optimist International and the Town of Paris Planning Board. He is a member of the New York Chiropractic Council and the International Chiropractors Association. He’s given talks about chiropractic care and health around his community for years. 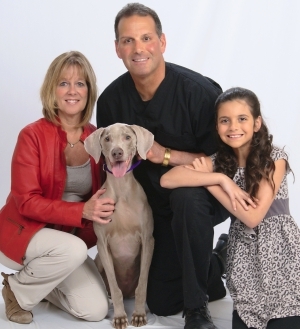 Dr. Casper enjoys playing golf and has participated in tennis and softball leagues as well as many road races (Boilermakers) in Utica. His wife Donna works at Casper Chiropractic, and they have four children together. When they’re not at the practice, they love spending time outdoors, hiking, skiing in the mountains and boating. We’ll get to the cause of your problem. If we feel we can’t help you, we’ll tell you! Contact us today to get started.